I’m in the middle of organizing a food and wine dinner for about 1,000 people. It’s called Dark & Delicious and it’s my sixth year in a row doing it. this year it’s 60 wineries and 30 restaurant options. So, you can imagine that I can handle six to eight people, right? Yeah, I think so. I was inspired to originally write this one for a site I’m helping called Roulé Rouge, a great little organic red wine. 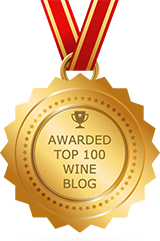 It’s so much fun to be writing for other wine blogs, now. Their needs are different than mine, so I write differently… cautious to not get too personal or sassy, which I can do with this one if I want. And, the subject matter is different. It’s not about a wine publicist carrying on each day in wine country. It calls upon me to actually use my knowledge that I’ve gained over the years, information that could benefit wine consumers. 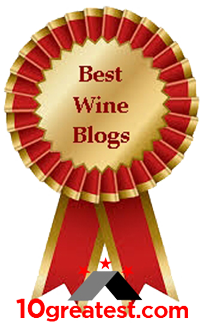 I really enjoyed writing this story, and know that the wine consumers who read my blog will benefit from it here on Wine Blog, and there are wine professionals who might also add to this one in the comments, making it much richer. Have at it, boys and girls. What could be more fun than organizing a wine dinner? Sometimes we might have in mind the wines we’d like to enjoy; while other times, it’s might be all about the food and then finding the best wines to pair with your dinner. You’ll come up with most of the wines, but be prepared. If you’re having a wine dinner, your friends might also be bringing their own bottles of wine to your party. If those wines honestly don’t pair well with any of your foods, don’t be afraid to just put the wine away for now, and use it as a springboard for another event. Just invite the friend who brought the bottle, and explain that the wine was deserving of its own event… That will also keep your friendship intact. 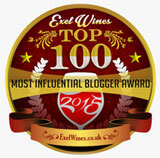 Something to also consider is this: are you showcasing the wines for your event? You can downplay your foods a bit. If it’s your foods that you’re showcasing, don’t make your wines so memorable that no one will even notice your foods. APPETIZERS: Begin with a wine hour and light appetizers. Wines with lower alcohol levels have a much better acidity, and so they pair better with your lighter fare. Good examples are Brut sparkling wines, Sauvignon Blanc, and Chablis-style Chardonnays. The less expensive Chards seem to fit this bill perfectly. (More expensive ones have been barrel fermented, perhaps have stayed longer on their lees, and have a creamier style. This type of Chardonnay pairs better with entrée-type foods.) If you’re going to be serving a red wine, go with Beaujolais or a light Pinot Noir. Again, lower alcohol wines will pair perfectly with a brie, for instance. Moving to your MEAL: Most people will serve a white and red wine, which considers everyone’s preferences at the table. But, what if you want to start with one and then move to the other? If that’s the case, begin with the white wine. In wine tasting, it is always best to start with the lightest wines and move toward the bigger, bolder flavors. Also, start with the driest wines and move toward any wines that might have some residual sugar in them. 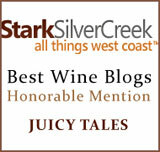 These sweeter wines fit into the late harvest category and are generally served with desserts. SALADS: There’s an exception to the sweet wine category, and it will be a tremendous hit at your dinner party. If and when you’re serving a salad with an oil and vinegar based dressing, find a wine with only a bit of residual sugar. A delicious Gewurztraminer, Riesling, or a Symphony wine are great complements to any salad with an oil and vinegar-type dressing. (The Symphony grape is a crossing of the Muscat of Alexandria and Grenache Gris grape. This was done by Dr. Harold Olmo of UC Davis, when he was alive and working at UC Davis.) Just make sure that you use a bit of your wine in your dressing, too, to make it a tasty and seamless experience. Add some mandarin orange slices, because they superbly pull the entire effort together, and your guests will be wowed. Moving to a heavier entree will now have everyone ready for that red wine. If it’s a fish dish, you can stay with white wines, or opting for lighter reds. If it’s a hearty meat dish, go bold with a Merlot, Cabernet (Franc or Sauvignon), Zinfandel, Petite Sirah, or Syrah. Go hog wild and find a Portuguese Alicante Bouchet, or serve a blended red, like our Roulé Rogue. Having some fun before your party will translate into a really memorable evening, as you talk about your wine choices and your food pairing. This way, everything is the focus. DESSERT: Time for those sweeter wines to pair well with your sweeter dishes; the late harvests and Ports… They’ll linger on your palate and have conversations becoming quite fascinating and colorful, worthy of your wines. How much wine per person? You can get five to six glasses of wine per bottle. If you’re going to have wine with each course, you need at least one bottle per person. Remember, if you’re doing appetizers, a salad, an entree, and a dessert, that’s four glasses of wine per person easily, headed toward a bottle for each person. Appetizers, get at least two (2) bottles, because this is an hour event. (Bubbly + a dry white). Dessert: One (1) bottle will do, even though it’s only a 375 millimeter bottle. Pours are very small for this one. Have fun with your party. Is it going to have a theme, is it a celebration of someone’s life or accomplishments, or is it just for fun to enjoy with your friends? Whatever it is, choosing the right wines is half of the fun, if you are a wine lover. Wine is my life. I eat, drink, and sleep, wine! I love your thoughts. Keep them coming!